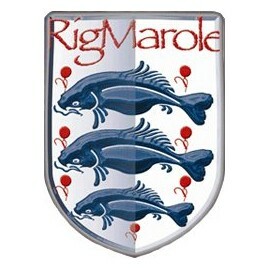 Rig Marole There are 2 products. 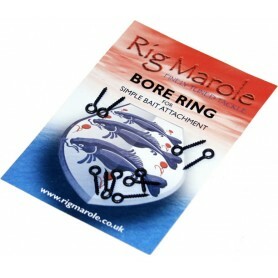 The new bore rings are designed to make using d rigs, chod rigs, Blow back rigs etc easier by simply screwing your bait (8mm+) on down to the ring. Excellent for use as a combi-link with braid, a stiff rigged presentation or even a leader. 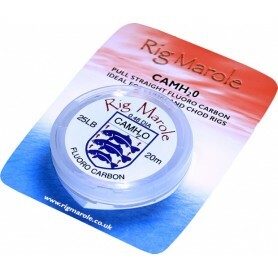 A pull straight stiff material that is near invisible on the lake bottom and because it does not need to be steamed straight is ideal for day only anglers or people with limited time.